Emirates One&Only Wolgan Valley strive for meaning and permanence in how they grow and procure food, and how they contribute to the inspiring narrative of Wolgan Valley. Continuing a decade-long partnership with Corlette, having previously collaborated on branding, marketing, photography, and publications, One&Only Wolgan Valley approached us to create Food & Beverage branding for three distinct venues; Country Kitchen, Wolgan Dining Room, and 1832 Heritage Homestead and Kitchen Garden. After an immersive guest experience, and interviews with Executive Chef, Nancy Kinsella, a suite of venue brands were developed– seeking to be in tune with nature and the earth. 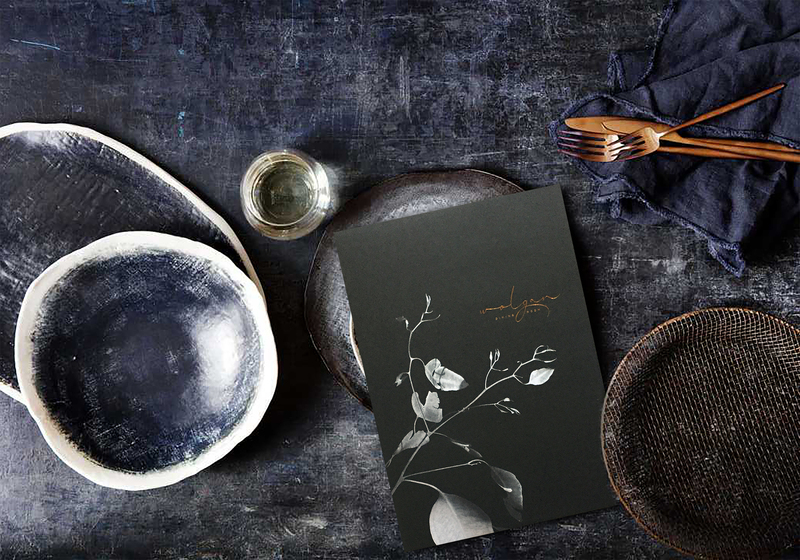 The signature-style logo for Wolgan Dining Room captures the essence of the highly personalised, exclusive, yet relaxed feeling you experience as a One&Only Wolgan Valley guest. Highly stylised black and white photography, captured on site during our guest immersion, is in keeping with the One&Only brand. Uncoated, earthy paper stocks represent the resorts deep connection to the land. The fine copper foil detailing adds a sense of luxury, whilst the powder green stock used for the breakfast menu reflects the panoramic morning views. This considered branding for Wolgan Valley contributes to the important, ongoing culinary conversation about the purity, ingredients and sense of place that is the Greater Blue Mountains.